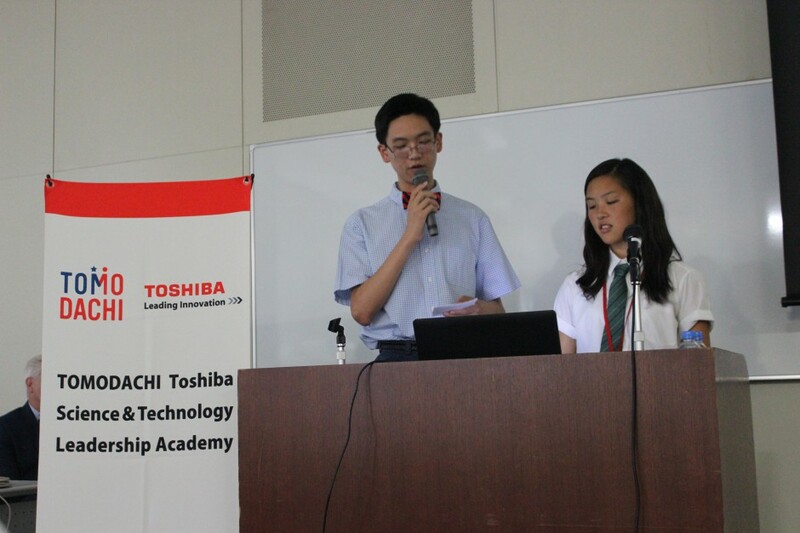 On August 10, 2015, the final presentations of the TOMODACHI Toshiba Science & Technology Leadership Academy brought together the high school students from the United States and Japan who spent August 4-11, 2015 together to learn and synthesize their own models for a disaster resilient smart community. The hands-on learning tasks such as the tower-building activity; new discoveries acquired from field trips to learn about the latest technology in Japan and Toshiba smart houses; and cross-cultural exchanges through visits to touristic locations such as Mount Takao and Asakusa enabled the students to experience a well-rounded program that bonded the group through science and cultural appreciation. For the final presentations, the students split into four teams and presented their respective projects and reflected on their experiences from the program. The presentations delivered by the students were rich in content and clearly manifested the valuable lessons learnt pertaining to the use of better technology, communication, and organization to create smart communities. Like the previous year, the four teams each focused on a specific city with the potential and need to develop a smart community. The Midori (Green) Team chose Sendai city in Miyagi, Japan, which was affected heavily by the tsunami in 2011. Focusing on issues related to energy, transportation, healthcare, and minimizing future natural disaster impacts, the team provided plausible measures to create a “cleaner, happier, and healthier community.” The Kiiro (Yellow) Team chose Bago, Myanmar, a coastal city in the south. The team members highlighted issues such as monsoons and the lack of disaster relief efforts and brought up steps to enhance disaster prevention mechanisms and provide efficient disaster relief specifically in the field of healthcare. The Aka (Red) Team focused on San Salvador, El Salvador and its issues revolving around natural disasters, health, public transportations, as well as social issues related to gangs. The Ao (Blue) Team talked about Manila, Philippines and its overpopulation issues and related problems such as increase in energy demand and pollution. The team proposed the “Manila 2035: The Future,” which raised solutions to the addressed problems. Following the students, the teachers provided their insights about the program. Jose Octavio Rivas Jr., a teacher at the Lennox Math, Science and Technology Academy, reflected on the program and raised three keywords: Japan, Students, and Educators. 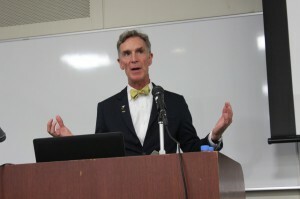 He described Japan as a “rich and beautiful society.” Rivas stated he learned a lot about the students while he “watched them cooperate with each other” and expressed his gratitude for working with colleagues who shared the same passion towards science education. The unique feature of this year’s academy was the incorporation of teacher’s assistants for the first time. Five academy alumni from the 2014 program returned to provide guidance and advice to the students as teacher’s assistants.